Apostolic Revelation: Is Trinity A Pagan Definition? Is Trinity A Pagan Definition? 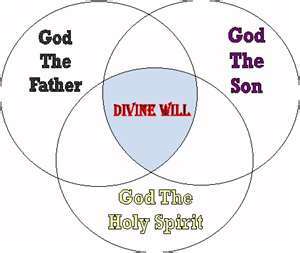 Does The Son And The Spirit Are One And The Same In The Father? In Other Words, Is The Father The Same Person Who Shows Himself Differently In The Son And The Spirit? Question : This Picture 1 is Trinity where hierarchy and oneness is compromised...This Picture 2 is Godhead - which fulfills all Scriptures. If you read Luke 20:42 And David himself saith in the book of Psalms, The LORD said unto my Lord, Sit thou on my right hand,Jesus was quoting Psalms 110:1, "The LORD said unto my Lord, Sit thou at my right hand, until I make thine enemies thy footstool." John 1:18 says, "No man hath seen God at any time; the only begotten Son, which is in the bosom of the Father, he hath declared him." In John 8:42 Jesus said unto them, "If God were your Father, ye would love me: for I proceeded forth and came from God; neither came I of myself, but he sent me." In Trinity they are not one within another like Jesus said. In John 10:38 Jesus said, "But if I do, though ye believe not me, believe the works: that ye may know, and believe, that the Father is in me, and I in him." So Trinity is a pagan definition which is used even in Hinduism and imported into Christianity by the Catholic Church. What do you think about it? 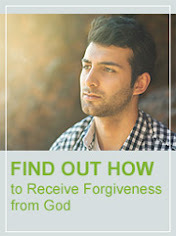 Answer : The picture 2 is wrong, but picture 1 is right because the deity of the Son and the Spirit are compromised and expressed as subordinate to the Father in picture 2, which makes them an inferior power to the Father and expresses them more as a emanation rather than as an individual person. If you say the Son called the Father Lord in Psa 110:1, how about the Scripture where the Father calls the Son as God in Heb 1:8,...and that does not mean that Father came out of the Son either. 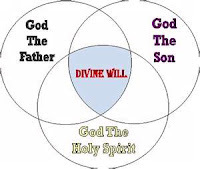 The Term Father and the Son are something that has been taken over by each person of the Trinity to relate to humans in anthropomorphic understanding, so that they as humans could relate to Him and enjoy the fellowship they have within them (John 16:12, 25, 29; 17:22, 23, 24, 26; 1 John 1:3-4). Do not think that bosom of the Father in John 1:18 means like a little child who came out of the Father, it does mean that intimate relationship both Father and Son had before the world came in to existence, so it does not in any way show the subordination of the Son to the Father, rather the intimate relationship they had between them described in human language for us to understand this heavenly truth. Here is the real meaning of John 1:18, LB, " No one has ever actually seen God, but, of course, his only Son has, for he is the companion of the Father and has told us all about him." In other words, Son Jesus was the Father's Companion in the eternity past and was co-equal with him. So the bottom line is, the Son did not come out of the Father, but was part of the Father in God's eternal nature of substance individually, therefore existed as a individual person from beginning and was not created. What Jesus says in John 8:42, is not about his eternal status as the Son of God, but rather in the mission of salvation in which the Father sent Jesus from heaven and He proceed from Him to fulfill the demands placed for redemption of sinful humans to become saints. So when Jesus said "I proceeded forth", He was saying I did not decide on my own to come to earth to save you, but the Father God from heaven as we discussed back in the eternity gone by, I was assigned this Job to be fulfilled for the salvation of humans. Thus this also does not in any way say that Jesus was created out of the Father God, but rather it shows only where the mission of Jesus started and with whose decision it started. The Spirit of the Son is the Spirit of the Father, the Spirit in Himself represents both the Son and the Father without them being present physically within a believer (John 14:23; Gal 4:6; Matt 10:20; 1 John 3:24; 4:13). Thus they are all co-equal and co-eternal in their nature, which actually means, none was made by the other, none came out of the other, none needs the other to stand as God and they are sufficient in themselves. Yet they are one in fellowship, desire, purpose, character, glory and in operation as God-head. This oneness is a choice each person of the Trinity take always to remain as one by giving in to the choice of the other person of the Trinity because of their love for them (John 10:17-18; 12:27, 28-29, 30; 17:10, 21-22, 23, 26). 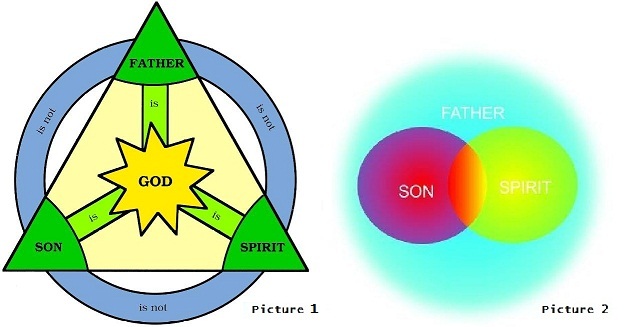 This shows that in Trinity they are not two circle of the Son and the Spirit within the bigger circle of the Father, but rather three equal sized circle touching one within another which is what Jesus said everywhere. In John 10:38, Jesus tells people to believe the works that the Father has prepared for Him to do to show to humanity that He is the true Messiah who can heal the body, soul and spirit of all humans and none else (John 14:10-11; Matt 11:4-6; Isa 29:18-19; 35:4-6; 61:1-3). The Father was in Jesus just as the Holy Spirit dwells in the believer now in our times to do the same work through us (John 14:12; Mark 16:20; 1 Cor 6:17, 19; 2 Cor 6:16). This does not mean that we have come out of God, rather all we can say is we have been reborn in our spirit-man in the image of God to regain what was lost in Adam (Rom 5:19). 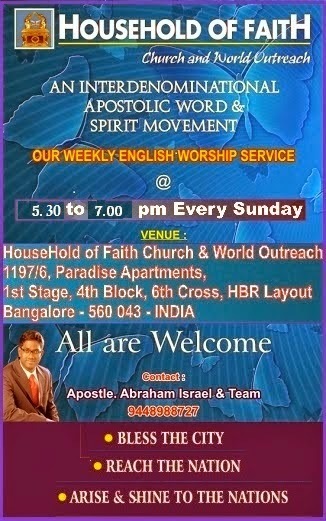 This only proves that the Son Jesus was not a emanation who had come out of the Father, but as equal a person as the Father himself as an individual to fulfill Father God's purpose for humanity through the Work of miracles, signs and wonders to fulfill the unique work on the Cross for all humanity to believe and gain back friendship with God (Acts 10:38; John 12:32-33; 14:29). So as far as I know, the word 'Trinity' is not a pagan definition used in Hinduism and imported into Christianity by the Catholic Church, rather it is the truth of the Bible in every page that has been understood by the apostles of Jesus in the first century and the succeeding Church Fathers, and therefore was this phrase coined thereafter to keep the heretic of the centuries following the beginning of the New Testament Church from either misleading the believer in to their heresies or keep them blinded from the pure concept of God who is one in Essence and three in Person, in short this word 'Trinity' kept the Church secure in defending their faith easily and also keep intact the truth of God being one and three in person at the same time from being misrepresented by heretics to deceive people from the truth of the Bible.